Between 2014 and 2017, the number of online shoppers increased from 1.32 billion people to 1.66 billion people – an increase of roughly 26%. And, the number of digital shoppers is projected to increase to 2.14 million by 2021. This means that more packages are arriving in homes every day – packages that should be ambassadors for your brand. Product packaging was developed to protect products during the shipping process. But modern product packaging has played an increasingly important role in creating strong product brands. Just look at the growth of the unboxing video craze. What’s the deal with unboxing videos? 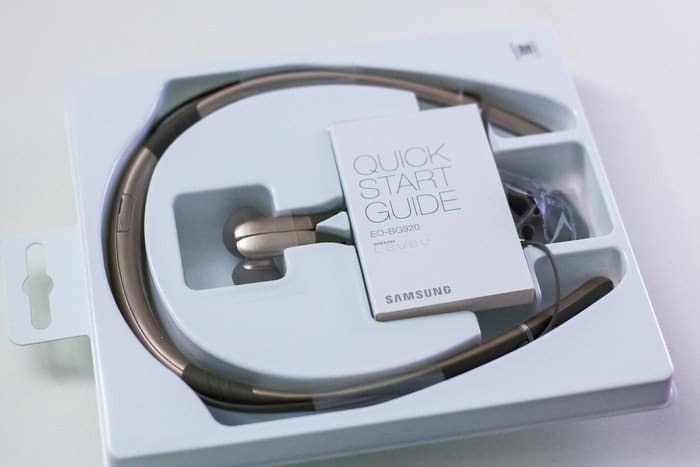 Unboxing videos feature frequently faceless narrators opening packages for new products. These videos often offer initial impressions on the packaging as well as reviews of the products themselves. Some unboxing videos are carefully and professionally produced. As mundane as that sounds, unboxing videos can rack up hundreds of thousands and even millions of views. Here’s an example for the Apple iPhone XS and XS Max. Why are unboxing videos popular? There are many theories about this. But, my own personal belief is that the process of unboxing is analogous to opening a present. And, people love opening presents. We love the novelty of new things. We like the appeal of a new surprise. 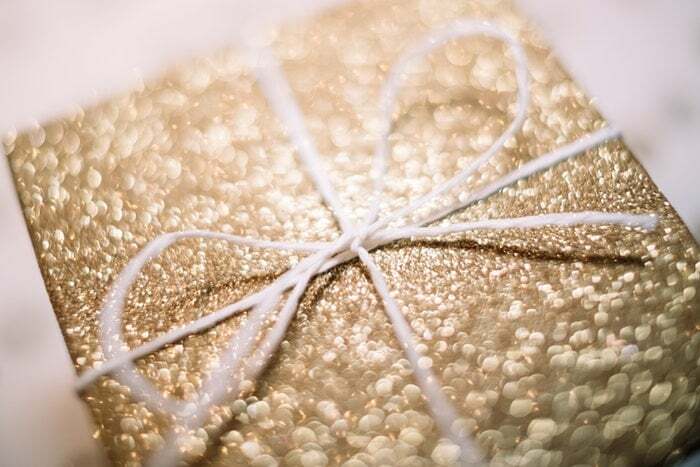 Admit it – as soon as a package arrives in the mail, you want to tear into it and find out what’s inside. Unboxing videos play into all of these instincts. A branded packaging experience is the deliberate selection of shipping and packaging materials, combined with smart package graphics design, that leaves a positive and memorable first impression for your product when the product is initially unboxed. When creating a memorable packaging experience, be sure to understand packaging design trends because such trends strongly influence how people react to your products and your product packaging. Whether your product is likely to ever be featured in an unboxing video is irrelevant. You can’t anticipate whether it will or it won’t – so it’s best if your product and packaging are camera-ready. But, more importantly, the unboxing phenomenon as a whole has raised the public’s expectation of what the unwrapping experience should be. They’ve seen better and they want it for themselves. And, now that the bar has been raised, your product packaging needs to live up to these new standards. So, it’s in your business’s best interest to create the best unboxing experience possible. …it’s time to start thinking about how you can make your unboxing process special. What does the outside of the box look like? 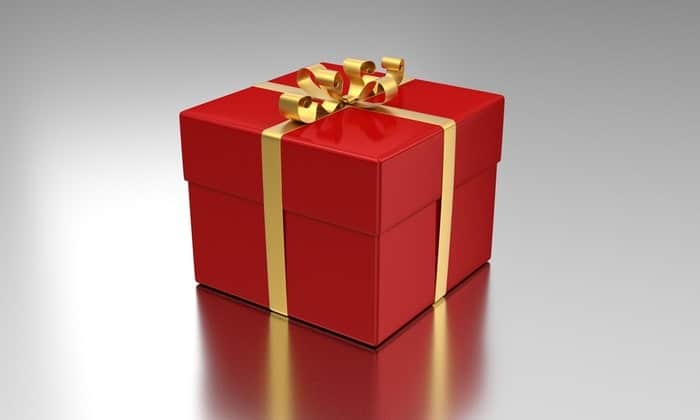 What do you see as soon as the box is opened? How is the product wrapped? Is there a message or gift inside? Treat each step of the unboxing process as a new opportunity to impress, surprise or delight the recipient. So, let’s take a real look into how you can create a fantastic unboxing experience for your customers. A properly designed, memorable custom packaging experience combines a number of different elements. Here are five important factors to consider that will guide you to create memorable product packaging design and a fantastic unboxing experience. An awesome unboxing experience starts with strong functional design. Your packaging must serve its primary purpose – to protect the items inside during transport. If the item arrives damaged, then you’ve failed before the unboxing can even begin. There is beauty in simplicity not just because it offers a relaxing visual, but, also because of simplicity of design demands that the design embrace function and aesthetics as a cohesive whole. 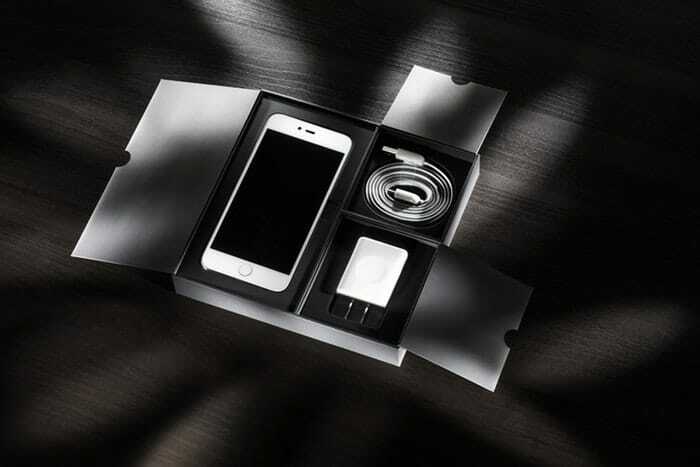 Think about Apple’s celebrated white minimalist packaging – perhaps the holy grail of unboxing videos. Every element of your packaging should serve a function, whether it’s organizational, protective or aesthetic. Opening a clean, streamlined, and intentionally-designed package is a pleasure. And, eliminating unnecessary packaging also helps in other ways. Lighter packaging is cheaper to ship. Eliminating waste saves money on packaging materials. Banishing wasteful packaging practices is good for the environment. How many times have you opened a large box only to find a tiny product inside? If you’re like me, when that happens you turn to the nearest human and point out how absurdly wasteful it is. That’s not the unboxing experience you want to create for your customers. And, that’s not the impression you should want your brand to create. So, design with intent and get rid of the stuff you don’t need. Design custom product packaging to fit your product and brand. Design your packaging to serve double-duty. Padding should be both protective and attractive, with eye-catching package graphics design. Organizational barriers should protect product components and contribute to creating a dramatic visual reveal. Invest in the most effective packaging materials to accomplish more with less. One way to create a memorable unboxing experience is to make it personal. We all like to feel special. But, we live in an age of form letters, spam email, and one-size-fits-all (fits-almost-no-one) clothing. Customization is rare. And, it stands out like a warm ray of sunshine amidst all the impersonal, grey uniformity we face every day. Design an unboxing experience that is all about the recipient and you will make your customers feel special. Customize your packaging design to your customer whenever possible. Use the customer’s name. Send recommendations based on their previous shopping preferences. Include a personal note thanking the customer for their business. Make it clear that you know there is a person receiving this package. You can also create a more personal unboxing experience by sharing something about you and your business in your packaging. You may consider including a flyer with a photograph of the person who packaged the product, or a note explaining the story behind this product. Customize the contents of the box to meet your customer’s interests. Include hand-written thank you notes. Share genuine information about your business and the people behind the purchase. When people open a new package, their curiosity is piqued. They’re subconsciously prepared for a surprise. Not the “will-spring-snakes-explode-out-of-this-package?” sort of surprise; but, the curious “will-what’s-inside-meet-my-expectations?” kind of surprise. 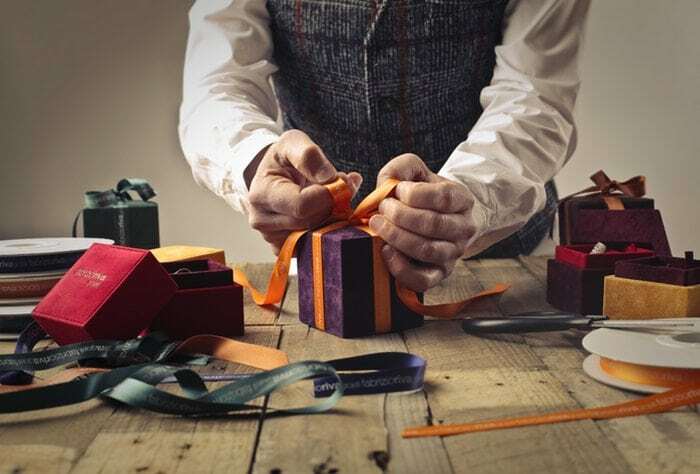 You can capitalize on this curiosity and delight your customers by including a bit of drama in the unboxing process. You could just plunk your product into some padding and stuff it in a box, but there’s no fun in that. Instead, think of your unboxing design as a classy and tasteful PG-rated burlesque performance – you don’t want to give everything away all at once. Reveal one element at a time and take your customers on an exciting journey as you build to the final reveal of your product. Plan out what your customer will see from the time they open the box until they uncover the product itself. Control what the customer can see as they remove each item from the box. Consider ways to use functional elements like padding or organization to contribute to a step-by-step reveal. That’s because attractive packaging design triggers activity in the parts of our brain associated with impulsive behavior and the feeling of having been rewarded. You can make these psychological influences work in your favor and create an enjoyable experience for your customers by prioritizing an attractive packaging design. Think about color, font, shape, and texture. Hire a professional packaging designer to guide you with your packaging aesthetics and graphics. Design with your target audience’s visual preferences in mind. Research and bear in mind the psychology behind packaging design. Consider the function of your packaging when designing the aesthetics. For example, food packaging design and packaging design for cannabis products require special considerations. Strong unboxing design should act as a brand ambassador for your business. Your packaging design and other elements of the unboxing experience should all reflect your brand identity. Customers are reassured by brand consistency – especially when shopping online where they can’t speak to someone in person or handle the product before purchasing. While branding that doesn’t match the customers’ expectations can create a sense of unease and possibly even dissatisfaction with the product itself. Serving as an advertisement for your product to anyone else who might see it. As you plan your unboxing design, make sure to consider how your visual brand can play a role. Include your company logo on your product packaging and make sure that your company name is prominent too. Feature your brand colors to create an instant subconscious association with your brand. Embrace your brand’s typography and voice in all written copy. Tell your brand story through your packaging design. Properly packaging your product is like giving someone a birthday present every time they order from you. You should approach your packaging design with the intent of creating the best possible impression on the recipient. A cool unboxing experience is a fantastic way to create a positive bond with your customers. 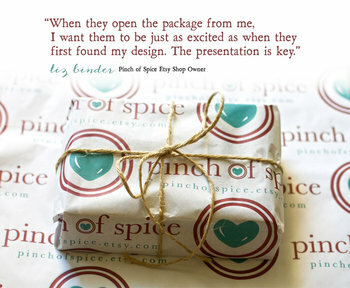 So design an unboxing process that will surprise, delight, and connect with your audience.